To buy your own sailing yacht or to charter? That is the question. Unless you are lucky enough to be regularly invited along to crew on a friend’s yacht, you have two choices for your sailing holidays: to charter a yacht or to buy your own. Below, Dirk Agter, co-founder and CEO of Yacht-Match, reviews these choices and introduces a way to turn boat ownership into an investment. Many sailing enthusiasts choose chartering over ownership. A charter client has the freedom to choose any yacht type and destination. Each sailing holiday can be on a different yacht, offering a great way to experience a variety of boat sizes and styles. In addition, the charter client pays a fixed charter fee. This includes use of the yacht for the agreed period as well as support during the charter if needed. The charterer has no worries about unexpected maintenance costs, annual berthing fees or insurance. For those who sail just a few times a year and don’t mind sailing in someone else’s boat this is a perfect option. There are thousands of sailing yachts for sale around the world. You can easily find them by visiting marinas, brokers or by simply searching on line. Buying a pre-owned sailing yacht has an obvious financial advantage, although older second-hand sailing yachts may have experienced a period of neglect before being put up for sale, often resulting in relatively high upfront maintenance or upgrade costs. New sailing yachts have the advantage of a warranty, reduced maintenance costs and the option to choose your own specifications. Although naturally this comes at a higher initial price, and depending on the yacht you choose, there may be a frustratingly long wait for production, commissioning and delivery. Owning a yacht is attractive to many people; especially those who intend to live onboard or sail so regularly that they want to be able to leave everything on board. For many others, despite a desire to sail regularly, the reality is that they may only sail a handful of times throughout the year. This makes it hard to justify the cost of owning a yacht. However, if you fall into this latter group and are prepared to share your yacht with other people, then there are ways to turn your yacht into an investment. Charter investment programmes aim to generate enough income from charters on your yacht to cover your running costs and even provide a positive return to offset depreciation. With a charter investment programme, you may have limited access to your yacht within the first few years, or peak sailing season in order to maximise the returns. A reliable and reputable charter management company, such as Hamble Point Yacht Charters, will also aim to generate charter income from your yacht, but the emphasis is on ensuring your yacht is well maintained and available for you to use, rather than just focussing on financial returns. The charter company looks after your yacht for you; this includes overseeing and managing the annual maintenance, any repairs or replacements required, cleaning, berthing, insurance and coding (ensuring the boat meets the safety requirements for chartering) as well as promoting your yacht to an audience of charterers. All potential charterers are vetted to ensure they have the relevant sailing qualifications or experience to be able to safely sail the yacht and return her undamaged. As the owner, you are able to pre-book your own yacht for your own sailing use, although the more weeks you take, the fewer weeks are available for generating a charter income. Finally, some layouts of yacht are more popular than others for chartering. So, before purchasing a yacht that you plan to charter out , it is wise to consult with an experienced charter management company who can offer advice on the optimum configuration of your yacht to generate the greatest return on your investment. 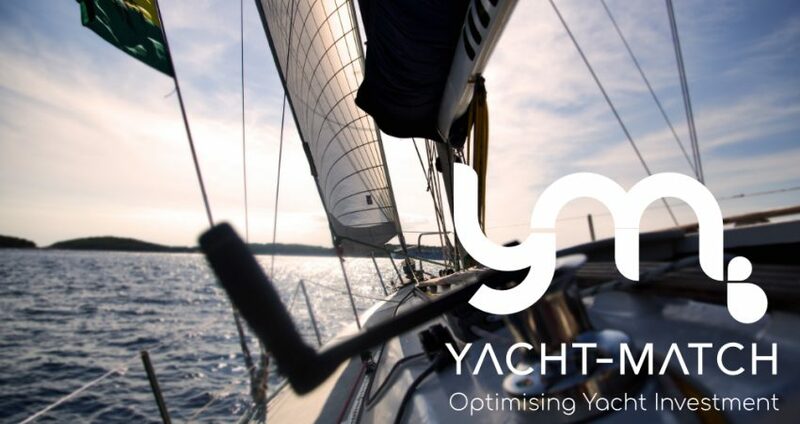 Hamble Point Yacht Charters has partnered with Yacht-Match, who offer unbiased information about (inter)national charter investment and management opportunities for privately owned sailing yachts. If you are considering buying a yacht, Dirk and his colleagues can match you with the best yacht charter investment or yacht management solution. Yacht-Match offer a completely free-of-charge initial consultation to all Hamble Point Yacht Charter clients, so you can find out more about the options that might work for you at no cost. Simply contact Hamble Point Yacht Charters and ask for your free consultation with Yacht-Match. Dirk will be available on the Hamble Point Yacht Charters stand J089 at the Southampton Boat Show at 4pm between Wednesday 19th – Saturday 22nd August to introduce the Yacht-Match concept and answer any questions you may have.